When you choose Bali as your next travel destination, you have many options of where to stay. Canggu is one of the most popular places in Bali which is usually flocked by international tourists. 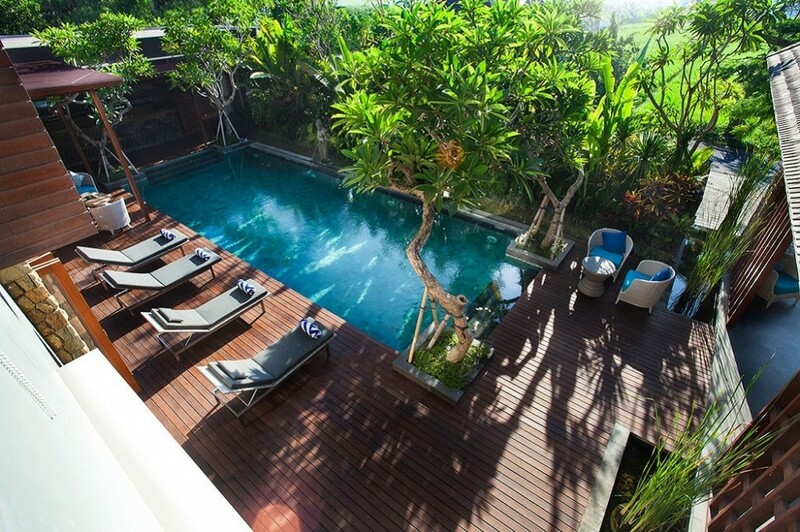 Thus, staying at one of Canggu villas is the right decision to make. It is because Canggu has everything to offer for a perfect getaway started from unique and sacred Tanah Lot Temple, fun bars, picturesque views, amazing sunset, to affordable restaurant with high quality foods. In Canggu, you can also explore the Sunday market at La Laguna. Aside from enjoying the foods, you will get to enjoy other things such as live music, handmade jewelry, as well as handicraft and clothes in cheap price. Pande Villas Spas & Restaurant – This is an incredible place to stay at. It gives you easy access to Perenan Beach, a golf course, and Tanah Lot. There are 13 rooms you can choose to book for your stay in this villa. Each room is air-conditioned and equipped with flat screen TV and fireplaces. There is also private kitchenettes you can use if you feel like making your own meals once in a while. There is outdoor pool for you to relax. Or, you can also rent a bicycle to explore Canggu in the morning or afternoon. This villa is also family friendly since it provides complimentary babysitting or childcare. Fare Ti’i Villas – This villa is situated in the core of Canggu, giving you the best access to many vital places such as Echo and Perenan Beach. There are four rooms you can choose to rent. Each room is designated with free Wi-Fi, refrigerator, private bathroom, and many more. Amenities include outdoor pool and luscious garden for you to relax in the afternoon. There are also business amenities offered by this villa such as laundry service, luggage storage, airport shuttle, and many more. Zoe Villa – This villa is situated near the beach so you can truly enjoy the view of it even from the second you awake from your sleep. It has also close proximity to Canggu Club as well as Seminyak Square. You also just need to walk for few minutes to reach Canggu Beach and Berawa Beach. There are ten rooms you can rent for your stay in Bali. Each room is featured private pool as well as LED TV. There is also furnished patio to chill and enjoy the view of Bali. There is entertainment room to keep you entertained during your stay. Not to mentions you can also spend your time relaxing at private bathroom with separate bathtub and shower. Staying at one of Canggu villas for your family retreat is good option because you can make sure that you and your family will be provided by the best service at the best place. It is just perfect for a memorable family getaway. Why Boarding House Is A Good Property Business in Bali? Why You Will Need An Interconnected Villa At Seminyak?